Angus Cameron was born in Indianapolis on 25th December, 1908. He was converted to socialism while studying at DePauw University where he graduated with honours in history and political science in 1930. At university he read the works of Karl Marx and joined the John Reed Club. However, he did not join the American Communist Party. After leaving university he joined the Indiana publisher Bobbs-Merrill. As editor he enjoyed great success with the publication of Irma Rombauer's The Joy of Cooking. Cameron moved to Little, Brown and Company in New York in 1938 and five years later was appointed editor-in-chief. His authors included Lillian Hellman, Howard Fast and Evelyn Waugh. Cameron was an early victim of McCarthyism and in 1947 was accused by Arthur Schlesinger of being a supporter of several organizations close to the American Communist Party. Soon afterwards the right-wing magazine Counterattack claimed that 31 of Cameron's authors were "fellow-travellers". His boss at Little, Brown asked him to clear his outside activities with the company. He refused and resigned, and he and his family lived for a while in the Adirondack Mountains. In 1953 Cameron established a small publishing house, Cameron Associates. He also joined with the left-wing writer, Albert E. Kahn to establish Cameron & Kahn. Over the next six years Cameron published several left-wing books including Science in History by John Bernal and two books on Julius Rosenberg and Ethel Rosenberg. Cameron published several blacklisted writers. Harvey Matusow was a member of the American Communist Party who was also an FBI informer. He also testified before the House of Un-American Activities where he named over 200 people as being party members. According to the New York Times: "Among those he (Matusow) accused of Communist sympathies were the State Department, CBS, the Boy Scouts, the Girl Scouts, the Young Women's Christian Association and the United Nations. He said there were 500 Communist teachers in the New York City school system, for which he was a paid consultant. His testimony resulted in the folk singer Pete Seeger's being cited for contempt of Congress." Matusow also worked for Joseph McCarthy. This included making speeches and releasing press statements in support of McCarthy and against his opponents such as Mike Mansfield. In Great Falls, Montana, he made in July, 1954, he made headlines with the claim that: "The Sunday section of the New York Times alone has 126 dues-paying Communists. On the editorial and research staffs of Time and Life magazines are 76 hard-core Reds. The New York Bureau of the Associated Press has 25." Matusow eventually felt remorse for ruining the careers of his former friends. He went to see Bishop Garfield Bromley Oxnam, the executive secretary of the Methodist Federation for Social Action. He told Oxnam that "I have lied again and again to these committees and I want to ask for forgiveness." Oxnam suggested that Matusow should make this information public. Matusow now wrote an account of his life entitled, False Witness, but the manuscript was rejected by the mainstream publishers. Oxnam made a speech in Westminster, Maryland, where he stated that Matusow had told him that "he had a religious experience and wished someone would undo all the lies I have told about so many people". Oxnam was now contacted by Cameron and Albert E. Kahn and they agreed to publish the book. Cameron later recalled: "We decided, hell, we'll get that book, we can make these bastards eat crow." False Witness was published in 1955. 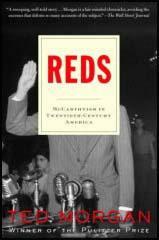 As Ted Morgan, the author of Reds: McCarthyism in Twentieth-Century America (2003), has pointed out: "Publication was synchronized with a campaign for new trials... at a time when 134 Communist leaders had been indicted under the Smith Act, with eighty-three convictions. Thanks to Matusow, the party could claim that all Smith Act trials were rigged." Matusow admitted that he had named over 200 people as being members of the American Communist Party but admitted that "about 15% was based on hearsay". In 1959 the publisher Alfred Knopf ended Cameron's blacklisting by employing him as a senior editor. He also wrote two books, The Nightwatchers (1972) and The Game and Fish Cookbook (1983). Angus Cameron died on 18th November, 2002. Bishop Oxnam's remarks came to the attention of Angus Cameron, who had been let go as editor-in-chief of Little, Brown in September 1951 after taking the Fifth before HUAC. Cameron had been chairman of the Progressive Party in Massachusetts in 1948, and treasurer of the National Wallace for President Committee. He was a trustee of the Samuel Adams School in Boston, identified by the Attorney General as a party front. As an editor, he was known for having turned down George Orwell's satire of the Soviet Union, Animal Farm. After leaving Little, Brown, Cameron teamed up with the Communist writer Albert E. Kahn to found Cameron & Kahn, a firm that published pro-Soviet and anti-American books, which were sometimes subsidized by such Communist-controlled unions as the furriers. Or consider the case of Harvey Matusow, who after seven years in the Party and four years as an informer (against various Communist Youth organizations, folk singers, and the Boy Scouts) repudiated his career as a professional witness in a book, False Witness (1955), in press conferences, and before a grand jury. Between 1951 and 1954, he consulted with and testified for the Justice Department (in the second New York Smith Act trial), the Subversive Activities Control Board, the Permanent Investigations Subcommittee of the Senate Committee on Government Operations, the Internal Security Subcommittee of the Senate Judiciary Committee, the House Committee on Un-American Activities, the Ohio Committee on Un-American Activities, and the New York City Board of Education. By his own count he had testified in 25 trials and deportation proceedings and identified 180 persons as Communists as he worked his way up from the sticks to the informers' palace-the McCarthy Committee. He also lectured for the American Legion, campaigned for candidates who could meet his fee (he once campaigned for McCarthy himself), wrote for the Hearst papers, and at one point had a radio program with fellow informer Howard Rushmore called Out of the Red. "Pretty good for a mama's boy from the Bronx, wouldn't you say?" he says. It was his account of his dealings with Senator McCarthy's counsel, Roy Cohn, that got Matusow into trouble. When in 1951 Cohn, then an assistant U.S. attorney in New York, let him know that the prosecution wished to get into evidence at the second Smith Act trial a particularly incendiary passage from Andrei Vyshinsky's Law of the Soviet State, Matusow conveniently allowed as how he not only had read the book but had discussed passages from it with defendant Alexander Trachtenberg - the very one Cohn was after. In his book, Matusow claimed that this was perjury and that Cohn had suborned it. Angus Cameron, a former editor in chief of one of America's foremost publishing houses, whose leftist sympathies forced him to resign during the anti-Communist fervor of the 1950's, died on Monday in Charlottesville, Va. He was 93. Mr. Cameron was top editor at Little, Brown, the publisher of J. D. Salinger, Lillian Hellman and Evelyn Waugh. In his eight years there, he gained a reputation for his keen appreciation of authors' creativity and the public taste. When C. S. Forester wanted to stop writing his Horatio Hornblower series, Mr. Cameron inspired him to keep it going. A born storyteller, a master of classical allusion and a connoisseur of dry gin martinis, he also made a mark with nonfiction books. His authors won Bancroft, Francis Parkman and Pulitzer prizes. But in 1951 Mr. Cameron, who belonged to many leftist organizations and spoke publicly about his beliefs, came under scathing criticism from conservatives. Little, Brown asked him to clear his outside activities with the company. He refused and resigned, and he and his family embarked on outdoor adventures about which he later wrote books. But first, to redress political grievances, he joined with a partner to form a publishing company in 1952. In 1955 he and the editor Albert E. Kahn published ''False Witness'' by Harvey Matusow, a paid informer who confessed to having falsely accused 200 people of being Communists or Communist sympathizers. 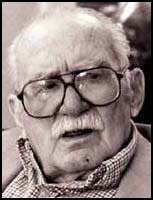 Don Angus Cameron was born in Indianapolis on Dec. 25, 1908. His paternal grandfather taught him about nature when the young Angus visited his farm, and his maternal grandfather told him stories about being blacklisted when he led a strike by streetcar drivers in 1905. His mother imparted a love of cooking, and one of the first books he edited was ''Joy of Cooking'' by Irma S. Rombauer, published in 1936 by Bobbs-Merrill. In his last job, at Alfred A. Knopf, he published Julia Child's first cookbook. He graduated from DePauw University, where he was introduced to the writings of Marx. After college he attended meetings of the John Reed Club, a national literary organization sponsored by the Communist Party, but did not join, said Jonathan Coleman, who is writing a biography of Mr. Cameron. His first publishing job was with Bobbs-Merrill. At Little, Brown, which he joined in 1938, he helped persuade Mr. Salinger to allow his picture to appear on the dust jacket of ''The Catcher in the Rye,'' a permission the author reversed for the second printing. When his superiors at Little, Brown were willing to offer Norman Mailer only an option for ''The Naked and the Dead,'' Mr. Cameron advised him to go to another publisher. In 1947 Arthur M. Schlesinger Jr., the historian whose ''Age of Jackson'' had been published by Little, Brown, brought a copy of George Orwell's ''Animal Farm'' to the publishing house for consideration. A savage satire on the Soviet Union, Orwell's book was rejected, and Mr. Schlesinger, a leading anti-Communist liberal, blamed Mr. Cameron. After leaving Little, Brown, Mr. Cameron moved his family to a house in the Adirondacks and the next year set off on an adventure with an Alaskan bush pilot. Mr. Cameron and his family netted whitefish, and the pilot flew the catch to Eskimos, who paid 45 cents a pound. Mr. Cameron and his wife, the former Sheila Smith, were married for 63 years. She died in 1998. He is survived by his daughter, Katherine Larson of Staunton, Va.; his son, Keith, of Gill, Mass. ; and four grandchildren. The Camerons' wilderness adventures were brief. The flames being fed by Senator Joseph R. McCarthy were spreading, and Mr. Cameron ''felt that he had fled the argument,'' Mr. Coleman, the biographer, said. Mr. Cameron returned to urban life in May 1952, and he and Mr. Kahn started their publishing house. They heard about Matusow's book, and wanted it. ''We decided, hell, we'll get that book, we can make these bastards eat crow,'' Mr. Cameron said in an interview in an oral history by Griffin Fariello, ''Red Scare: Memories of the American Inquisition'' (Norton, 1995). Mr. Cameron testified several times before the Senate Internal Security Subcommittee and the House Un-American Activities Committee, citing the First Amendment guarantee of free speech and the Fifth Amendment protecting against self-incrimination for most questions. As the national battle over naming names died down, Alfred A. Knopf of the Knopf publishing house hired Mr. Cameron in 1959. He collaborated with an editor there, Judith Jones, on a game cookbook, ''The L. L. Bean Game and Fish Cookbook,'' called ''the definitive work'' in the field in an unsigned review in The New York Times in 1983. They recommend that more than one dove be included in an entree because the birds are so small. There are two woodchuck recipes, baked young in sour cream and mustard, and oven-barbecued.